Commercial Roofing - Watershed Roofing | Get a Free Quote! Watershed Roofing & Exteriors have been providing commercial roofing services for decades. We have become the premier commercial roofing contractor for many commercial property owners, from supermarkets, drug stores, shopping malls, gas stations, apartments, mechanics/auto repair shops, banks, warehouses, restaurants, condos, we have a long list of satisfied clients all around the South West Ontario area. 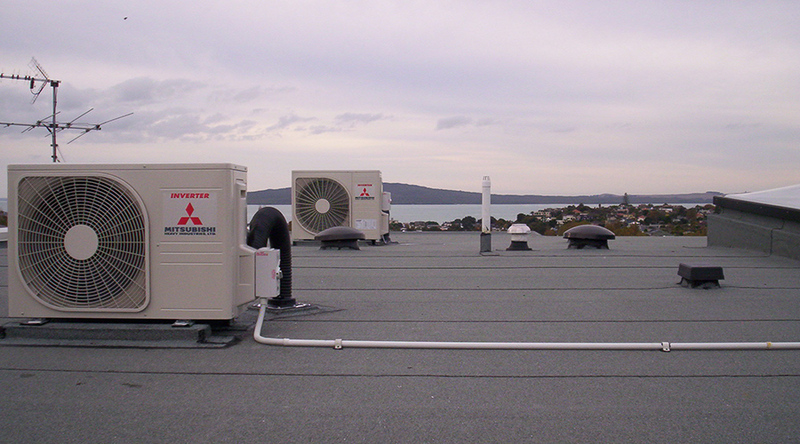 These systems when installed properly will be sure to protect your company, products and tenants from the elements, reduce energy costs and increase the value and overall look of your property. Watershed Roofing have a dedicated commercial roofing services team, of highly trained commercial roofers and project managers to get the job done. Because of our experience in handling commercial properties, and having the skill to identify the correct scope of work for each building, trust Watershed commercial roofing services. Most commercial roofs seem pretty similar to an untrained eye. But as we noted above there are a range of different roofing systems and only the right one should be selected. Not all commercial roofing systems are appropriate for all building types.We can help you identify the right system that is suitable to your building, climate, and budget. We also understand the importance of safety while working on a commercial roof system, we have all the training and skills to ensure safety for the Watershed team, and your staff as we complete your project. Business owners rely on Watershed Roofing for commercial roof repair, installations, re-roofing and upgrades. We install roofs for new commercial construction and also perform commercial roofing maintenance to current buildings. Let Watershed commercial roofing services handle your project from beginning to end, ensuring a timely completion of the project in the least disruptive manner possible.